Tired of getting the runaround from other dealerships every time you try to find the right new or used car, truck, or sport utility vehicle (SUV) for you and your family? Then make it a point to stop by Eide Chrysler the next time you are in the market for a new vehicle or outstanding pre-owned automobile in Bismarck. As the leading name in Chrysler, Dodge, Jeep, and Ram sales, we have no doubts that the perfect ride for you is ready and waiting right now on our lot. If you are wondering how our dealership is capable of standing head and shoulders over the rest of the competition found here in Bismarck, it all starts with our dedication to meeting your unique needs and considerations. While other members of the local automotive marketplace might claim to follow the same path, few - if any - can even come close to providing the same level of service that our dedicated team of Chrysler Dodge Jeep Ram experts offer up to each and every person that makes their way through our front doors. 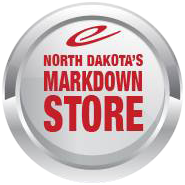 From here, we make it a point to always offer up the best selection and most affordable pricing possible for our friends and family in the Bismarck ND area. Once you mix this factor in with the rest of what we have covered here, then the end result is a recipe for success - and your satisfaction - that simply cannot be matched. When it comes to the best selection of great new Chrysler, Dodge, Jeep, and Ram vehicles, Eide Chrysler has you covered, regardless of what you are looking for in your next purchase. To prove this point, join us as we take a few moments to look over some of the hottest new Chrysler Dodge Jeep Ram models to roll straight from the factory to our showroom floor. Letting the good times roll has never been easier thanks to the alluring (and accommodating) Chrysler Pacifica. Whether you enjoy the luxurious and spacious interior (complete with Uconnect Theater and all of your other favorite tech amenities), powerful 3.6 liter Pentastar V6 engine, or the Pacifica's plethora of advanced safety features, one thing is for sure: This is a minivan that has something for everyone. What makes the Dodge Ram 1500 the most durable and dependable truck on the road? It all starts with the power of an available 5.7 liter Hemi V8 and TorqueFlite eight speed transmission that combine forces to make quick work of any job standing in your way. Adding in access to premium features like the Uconnect 8.4 inch touchscreen console and 20 inch chrome clad aluminum wheels ensures that that you also always ride in comfort and style. The Ram 2500 is your secret weapon when it comes to getting the job done right the first time. From best-in-class gas towing of 16,320 pounds (lbs) and luxury interior options to access to the Uconnect 8.4-inch full-color touchscreen and a plethora of other modern amenities, it is plain to see that the Ram 2500 has all the tools – and premium features – needed to truly revolutionize your daily routine. Looking for a full-size sedan that packs quite the punch? Then the Dodge Charger needs to be on your radar. With an available 707 horsepower 6.2 liter Hemi SRT Hellcat V8 engine and safety features that include Advanced Brake Assist and All-Speed Traction control systems, the Charger aims to keep you safe and secure while enjoying all that comes with one of the finest driving experiences found on the streets of Bismarck. "Iconic" is easily the best way to describe the Jeep Wrangler. From its wide fender flares and stunning seven slot grille to the removable doors and top that give you a chance to enjoy a ride in the open air, few vehicles can come close to invoking the same feelings drummed up by the Wrangler. Of course, by incorporating new tech-savvy features and refined details into the equation, it should be readily apparent that this all-terrain vehicle is primed to form a whole new array of life-changing moments for its lucky owners. The latest Jeep Cherokee to roll onto our showroom floor is truly a modern SUV for the modern driver. Whether you are leveraging the power of its expanded safety features (which include the new ParkView rear back up camera and the Cherokee's Blind Spot Warning system) or taking in all of this SUVs luxurious creature comforts, make no mistake about it: The Jeep Cherokee is more than capable of making your time spend on the road - or the trail - far more enjoyable. As you can see, the team here at Eide Chrysler has plenty of reason to be excited about the latest Chrysler, Dodge, Jeep, and Ram models - and so do you. The best part of all of this? What we have covered here is really just a fraction of what we have to offer to those who are interested in driving home in a great new vehicle from one of these manufacturers. To learn more about all of the latest cars, trucks, and SUVs waiting for you on our lot, give us a call at (877) 721-5955 or stop by Eide Chrysler today!